People Buy What They Understand ! The NAOI is the market's premier provider of comprehensive and objective investor education. Since the NAOI was formed in 1997 we have trained average people how to become confident investors via online courses, published books and in the college classroom. We have taught thousands of individuals how to take more personal control of their financial futures. On this page we discuss the education products and services that the NAOI offers to financial organizations that offer investing services to the public. We know this: "People buy what they understand, even if its not the 'best' product available." The NAOI annually interacts with hundreds of average people with money to invest. We know that most are dangerously under-educated in the field of investing. So most simply entrust their financial security to a third party advisor who is also a salesperson. They simply accept the investing recommendations and hope for the best. As a result, most people today hold portfolios that provide mediocre returns, with excessive risk and expenses that do not justify the value added. One would think that education related to such an important life-skill as understanding how to invest would be taught at all levels of academia and in every institution of higher-learning. Well, its not. The academic world is strangely absent in this environment. In 2008 we saw the consequences of this sad state of affairs when millions of individuals lost 50% and more of their wealth during the market crash of that year. People simply held portfolios that could not cope with today's volatile markets and had no idea how to stop the carnage to their financial security. Much of this problem is due to the fact that portfolios are designed today using Modern Portfolio Theory (MPT) methods that advocate a buy-and-hold management strategy. Of course this was a devastating strategy during the 2008 crash. That is why the NAOI created Dynamic Investment Theory (DIT) that you can learn about on this site at this link. But the other problem is the lack of education. People who understood the tools available to them in 2008, such as Stop Loss Orders, were able to avoid the massive loss of wealth and recover quickly. Those that simply trusted an advisor, took the full hit the “experts” likely won't tell you about such things as automatic sell orders. The NAOI is dedicated to solving this problem with our Investor Education Courses and Programs as discussed on this Web page and in this section of the site. As mentioned above, the NAOI has been working with and teaching individuals how to invest for over two decades. We know what works and what doesn't. Among the things that our students tell us don't work are Webinars, "Help" sections on investing sites, books with with no links to online resources, etc. What DOES work is a structured learning program like you would receive in a college classroom. People want a "book" that they can study. They want online resources that make what they learn actionable. They need reinforcement of what they learn via testing. And they need motivation to complete the course in the form of awards such as the “NAOI Individual Investor Certification” certificate as described at this link. This is what the NAOI provides. And we are the ONLY organization that provides it. 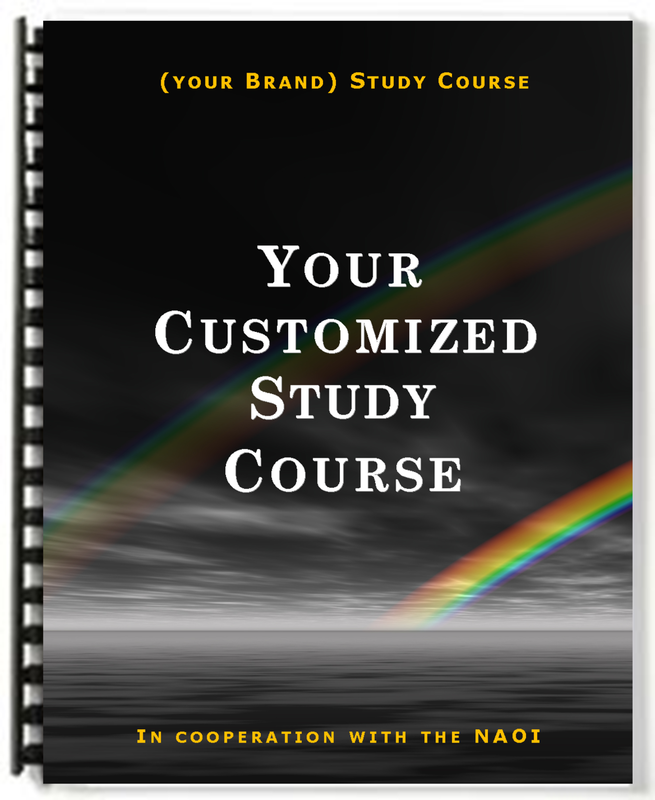 If your organization sells and investing related product to the public you will gain a massive competitive advantage of offering an NAOI-designed Study Course to go with it. Based on 20 years of public feedback we can almost guarantee you that by doing so your sales will increase exponentially. We don't need to "start from scratch" with most Study Programs. We own the world's largest, and "cleanest", investing knowledge base in the industry as discussed on this page. If you offer an investing product, you must first be sure that your prospects and customers understand the basics of investing. Well, we have a Study Course for that ready to go. It is shown below. This book teaches people with little to no experience the basic elements of investing. And this is MOST people. It may be surprising to those in the financial industry that a large majority of people don't understand what stocks and bonds are. Even more don't know what a mutual fund is. And almost nobody has any idea what an Exchange Traded Fund (ETF) is. This book assumes nothing and teaches everything that an individual needs to be conversant in the basics of investing. This is a critical part of any study course designed to enable people to use your investing product or service. The second book needed to enable people to take advantage of your investing product or service teaches the basics of Financial Planning. The NAOI has this one on the shelf, ready to go as well. We found in our classes that far too many people were not aware of their financial status, how much they needed to save to meet certain financial goals or how to set up a budget. This book shows them how to do all of this and more. Students will first define their goals and then formulate a detailed plan for meeting it, with investing being one element. When a student finishes this book/course they will have a financial plan in place and a structured approach for reaching the goals they want to achieve in life. This book is supplemented by the NAOI Financial Calculators and Worksheets described on this page. With the first two courses under their belt, your prospects / clients are now able to fully understand your product and take advantage of its benefits. Here is where NAOI consulting comes into play. As mentioned above we will study your product, use your product and work with your people to create a Study Course for its use. This will not be just a "book", it will be an interactive resources that includes using your product as they learn. Of course it will be up to you to decide whether you want to provide your market with a full study program that includes all three of the above books or just one that is customized for your unique product / service. But at least now, you have a choice. In our investing classes we often discuss specific investing products and investing service with our students. We bring into class advertisements from financial advisors, online brokers, portfolio managers, investing Web sites, etc. It is the best focus group environment in the industry. We find that the more complex it is, the less our students like it - UNLESS it comes with a companion study course. Most don't so students don't give them a second look. But by almost unanimous vote, if a real Study Course was available, not an online help section or a Webinar, they would see the product in a much more favorable light and consider it for purchase. Our conclusion based on 20 years of teaching is that by enhancing your investing product / service with a structured Study Course of the type that the NAOI is proposing will multiply your sales exponentially. And because the costs of the NAOI creating such a course are extremely reasonable the Return on Investment for doing so is staggering. Investment Advisors - This is a very crowded field. To NAOI students we have surveyed they all look alike. What would make them chose one over another? An objective NAOI Study Course or Program. If you are a financial advisor and your competitors offer NAOI education and you don't, they win - you lose. Online Brokers - You offer a much needed service to the public. But most of the millions of potential customers are intimidated by what you offer. Sometimes its just too overwhelming. An NAOI Study Program will calm their fears by giving them the confidence to start slow and expand, following the course structure. Again, this is a massive competitive advantage. 401K Providers - Many students who attend NAOI classes do so because they simply don't know what to do with the 401k Plan offered by their employer. Someone needs to educate these people NOW. And it should be salespeople. Employers - give all of your employees an NAOI Study Program as described above. They will signup and take advantage of this benefit in droves. Financial organizations that offer 401k Plans - include an NAOI Study Program in your offering. If you don't a competitor will and you will lose business. To discuss an NAOI Education Consulting Contract contact NAOI President Leland Hevner, LHevner@naoi.org as soon as you possible can. Don't let a competitor beat you to the punch.